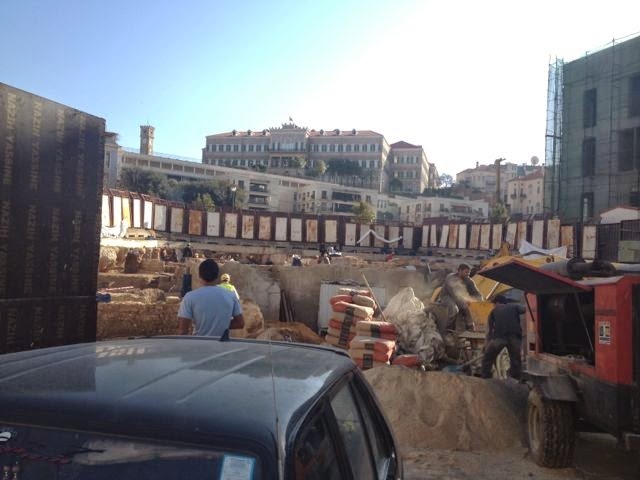 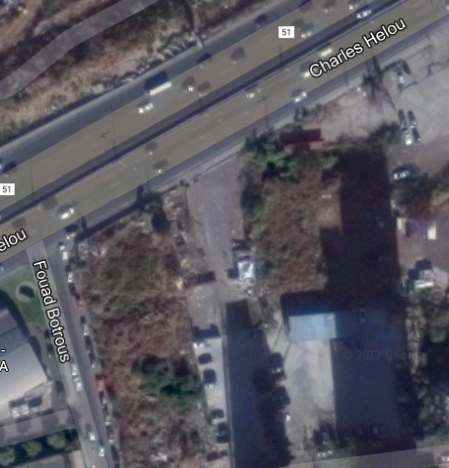 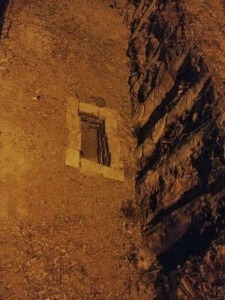 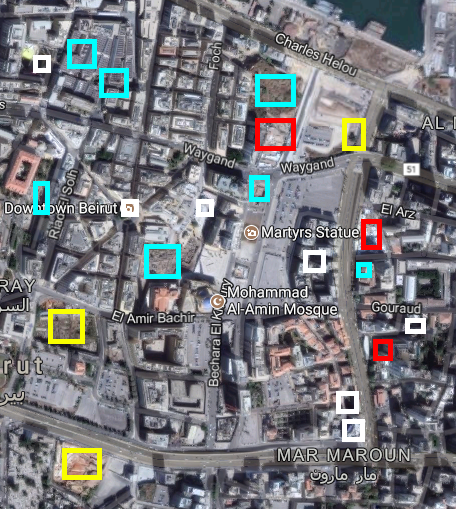 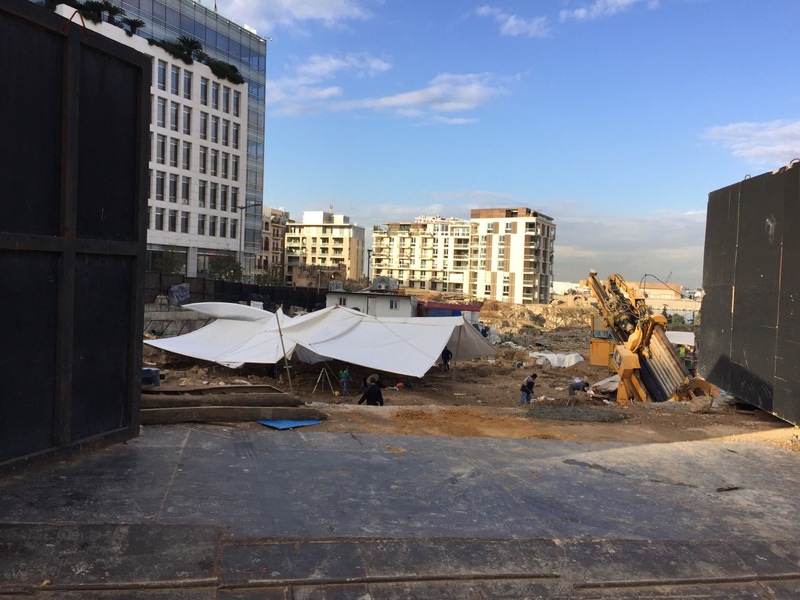 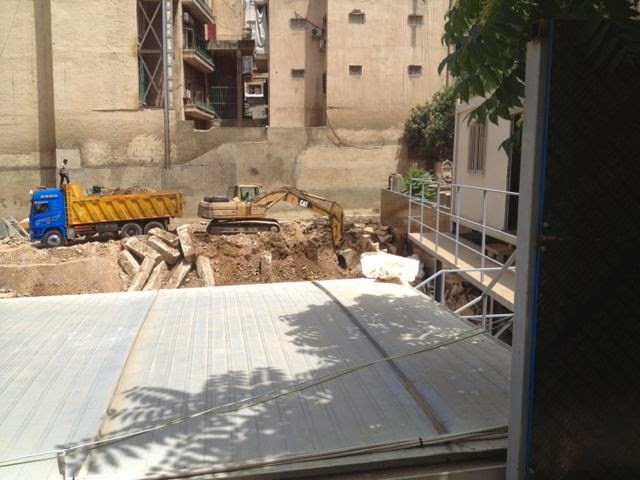 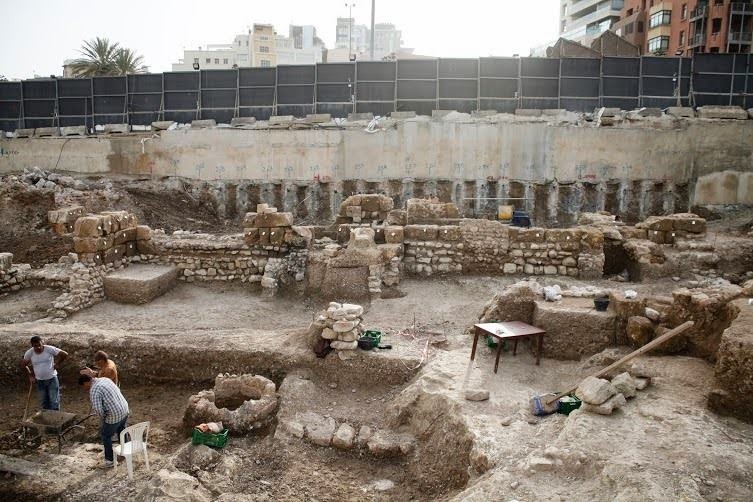 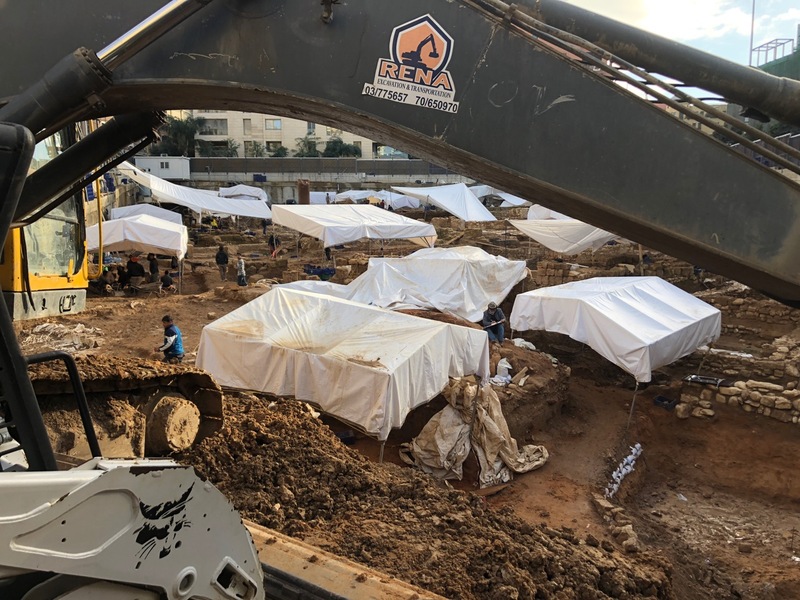 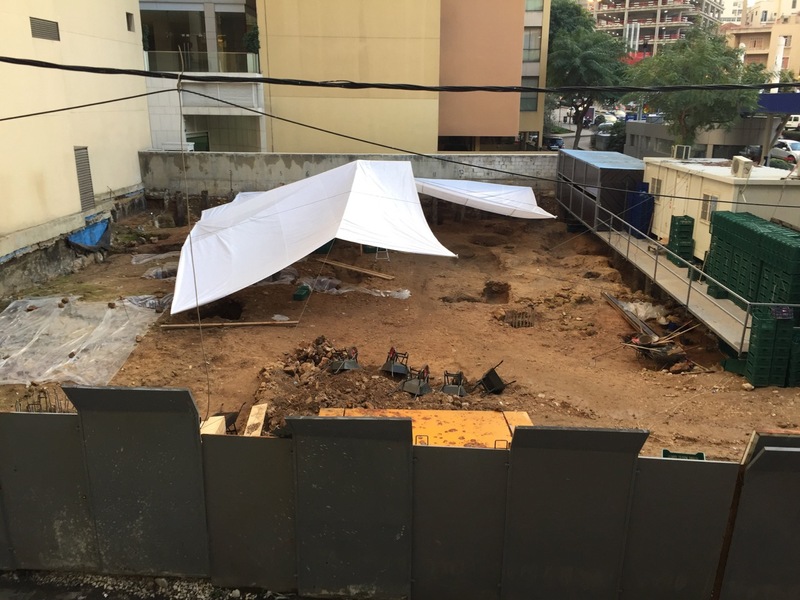 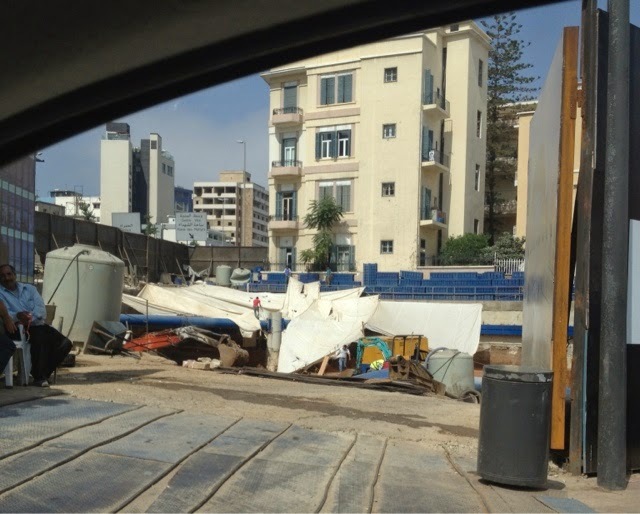 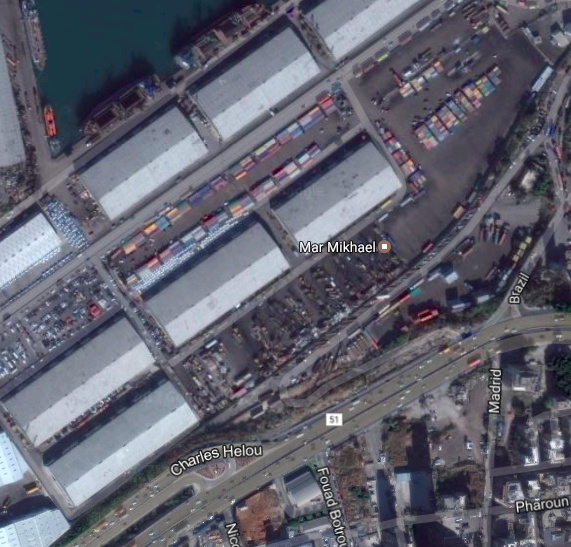 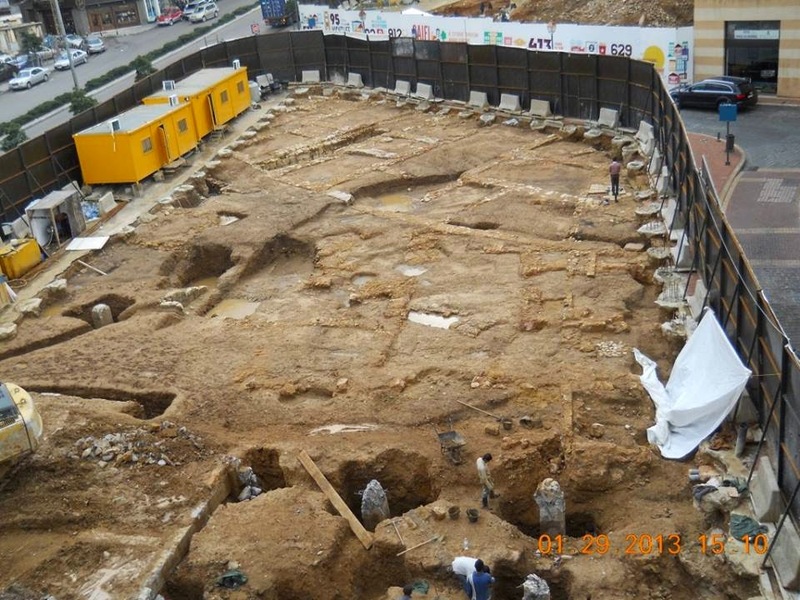 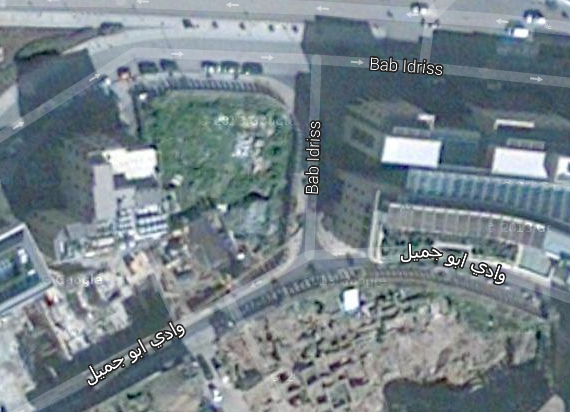 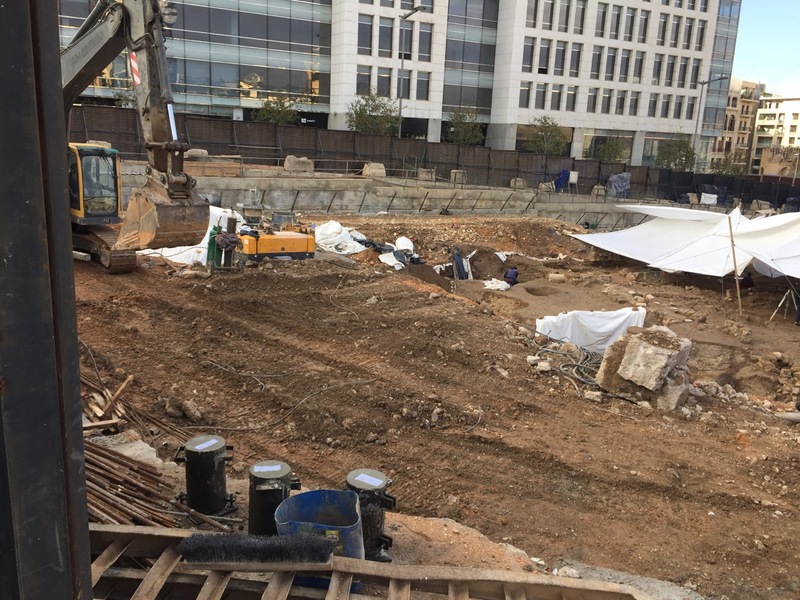 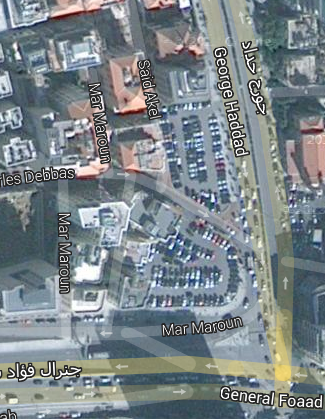 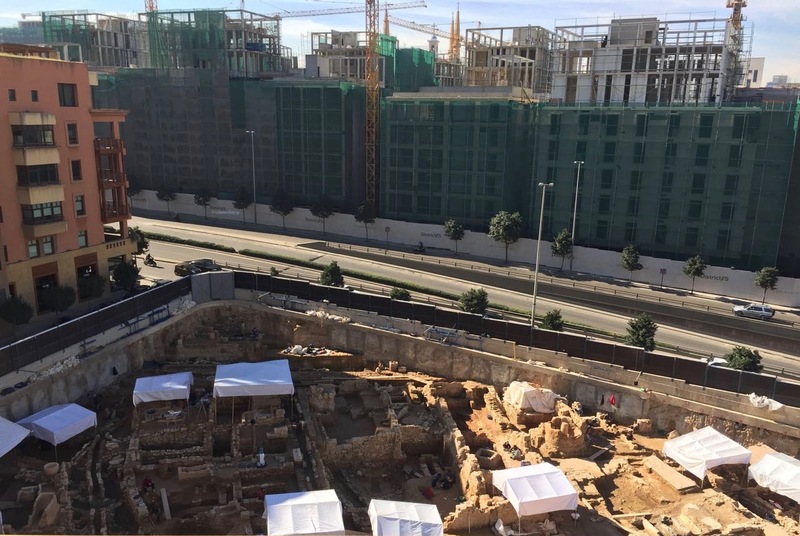 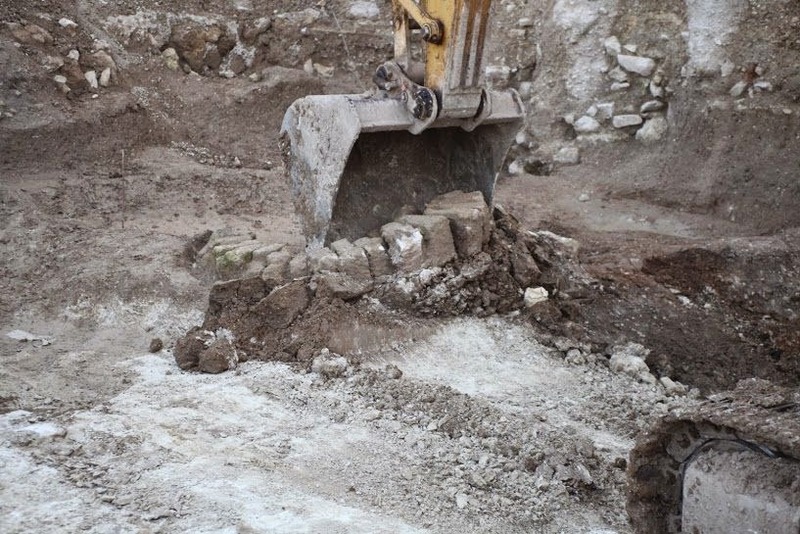 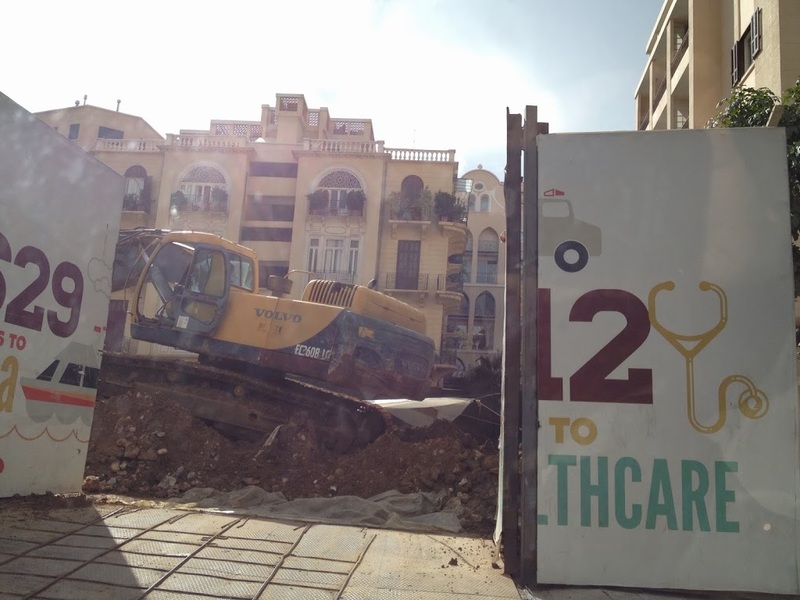 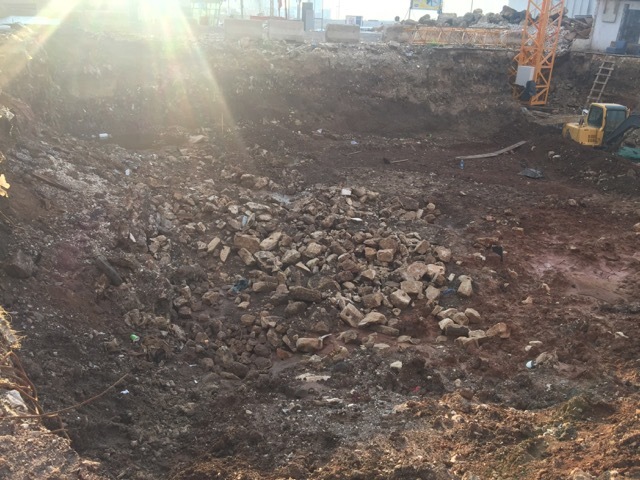 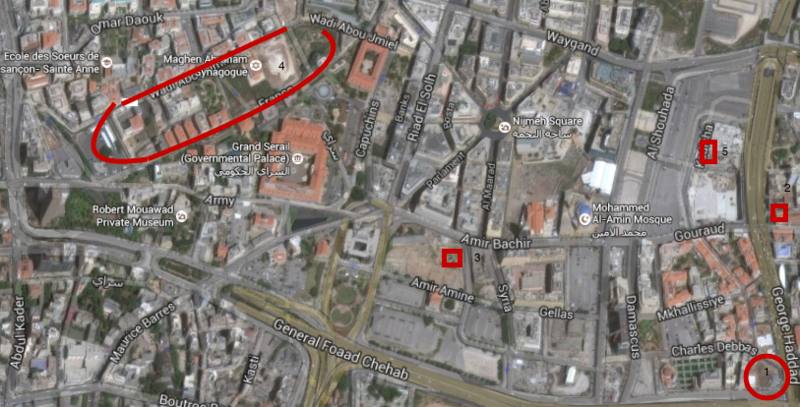 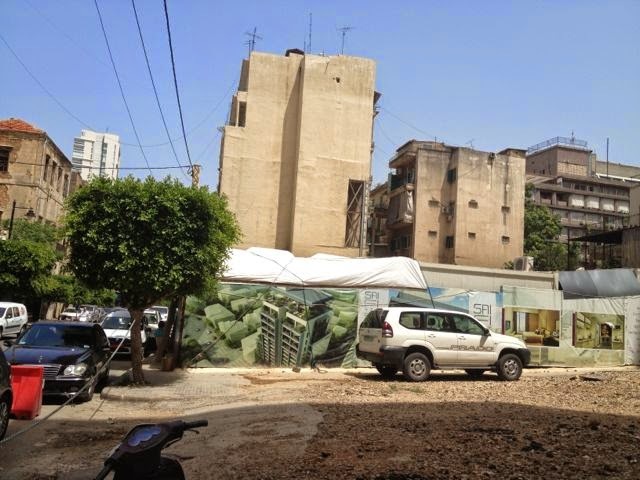 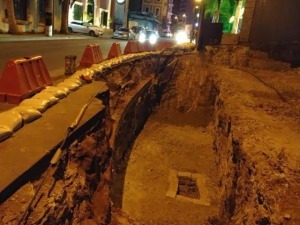 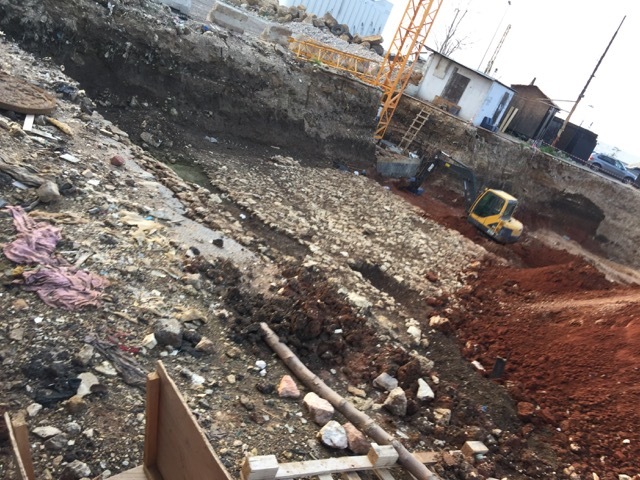 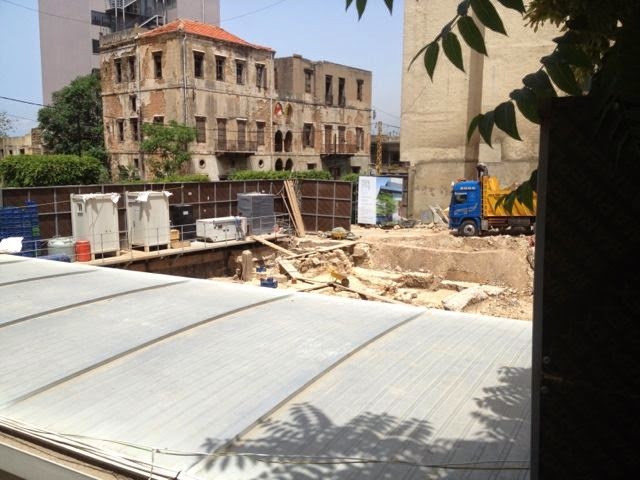 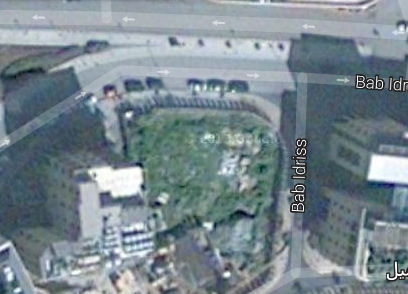 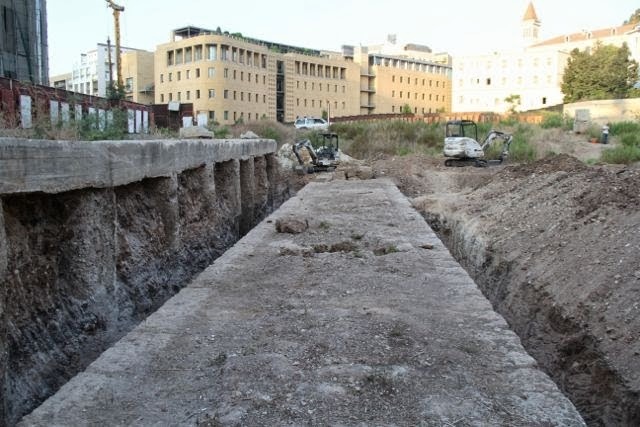 Home Tags Posts tagged with "excavation"
Many readers of this blog will remember when I was physically assaulted by site staff at the excavation for the $300 million District S development in downtown Beirut last year. 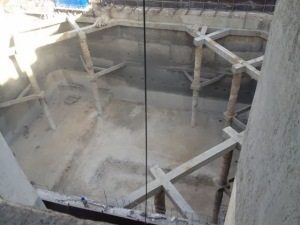 I was basically locked inside the site, surrounded and tackled by contractors, who pulled my arms until I released my camera and agreed to delete the photos I had taken of the ruins inside. 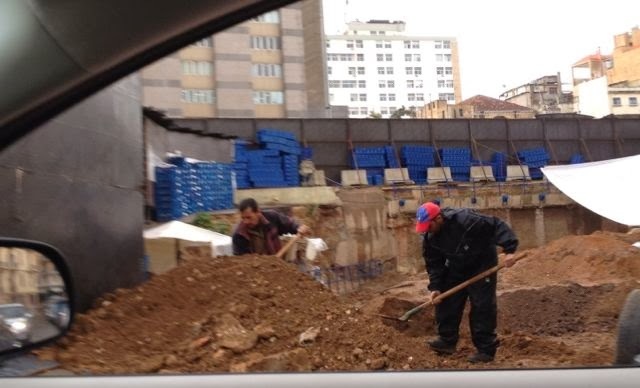 Reporters from Reuters and The Daily Star were also harassed and prevented from taking photos. 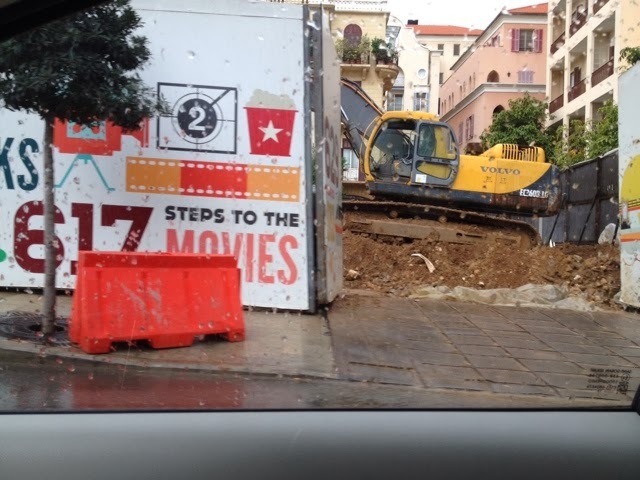 My story got a lot of press but I was never able to recover the pictures I was forced to delete. 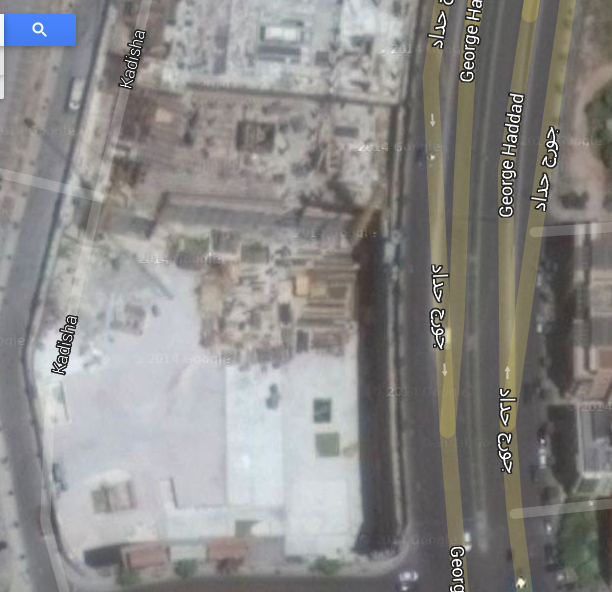 Thanks to activist Raja Noujaim, now we can get a sense of what was discovered there and what I saw before being jumped. 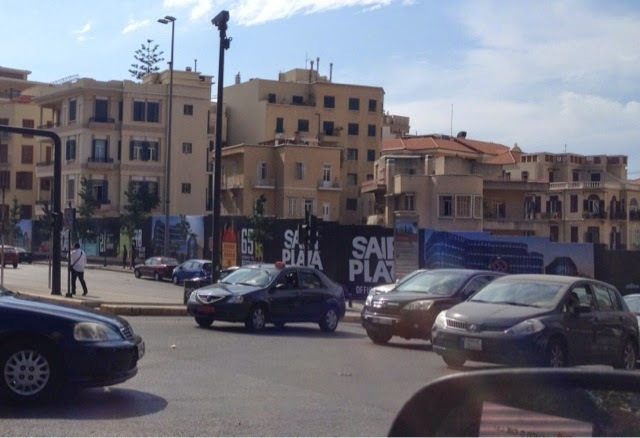 Noujaim uploaded these two pictures (above and below) to Facebook today. 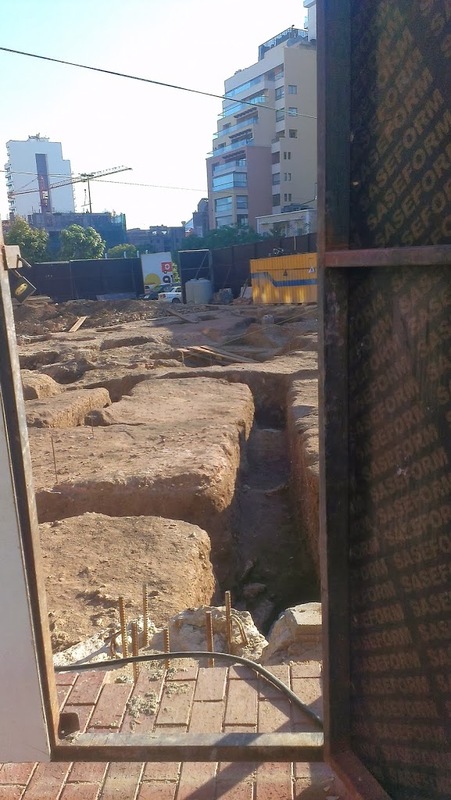 So what happened to all the ruins? 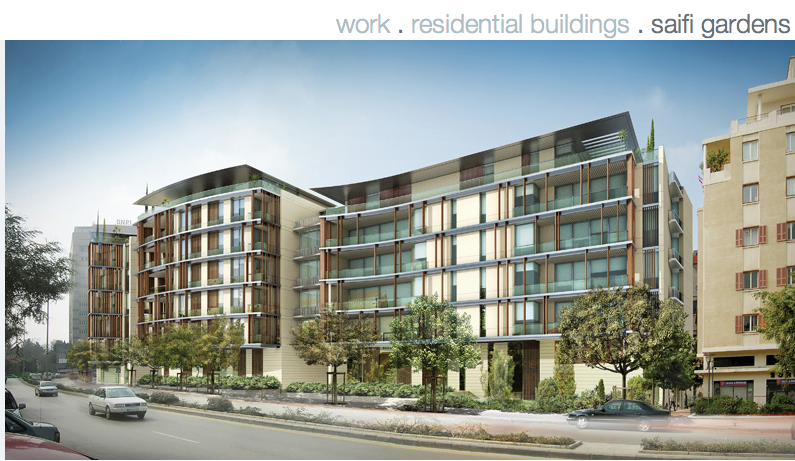 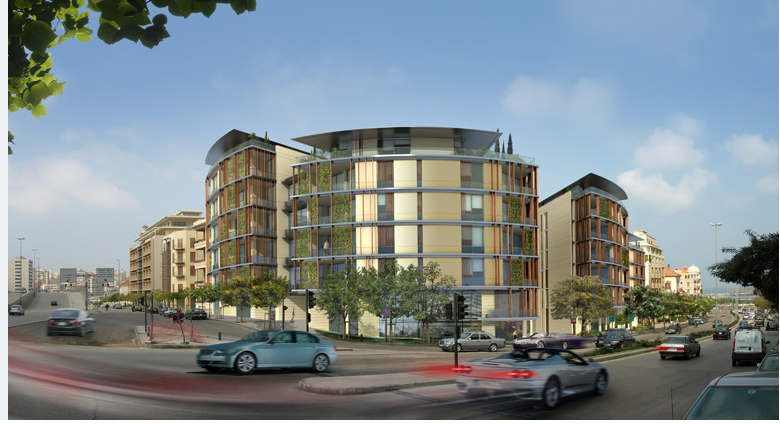 Spokespersons for the developer have sometimes claimed some of them will be integrated into the project. 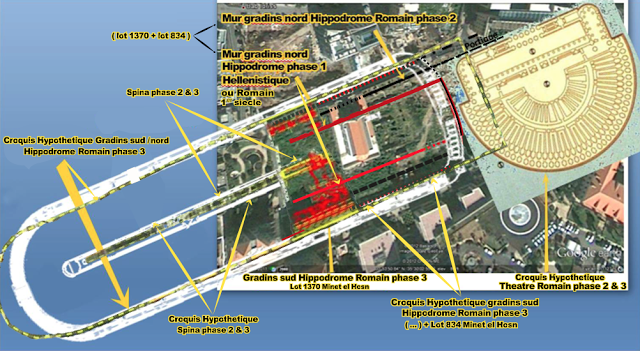 But how much will be saved and will the placement be historically accurate and accessible to the public? 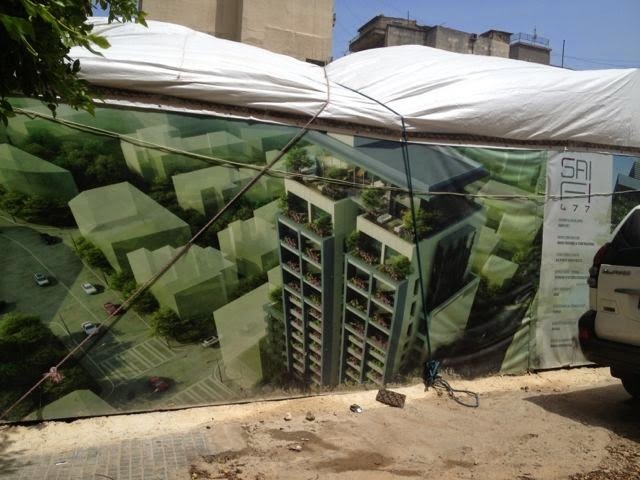 Or will the placement of ruins be merely be cosmetic, used as decorative pieces in private gardens? 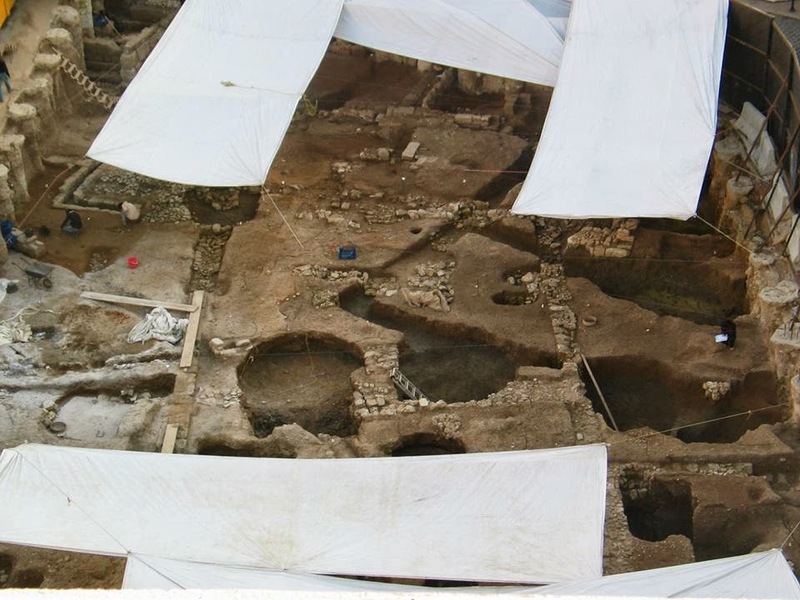 Another key question is who makes decisions on such sites and why is public access to ruins so limited that you can literally get roughed up just for taking pictures before they are gone? 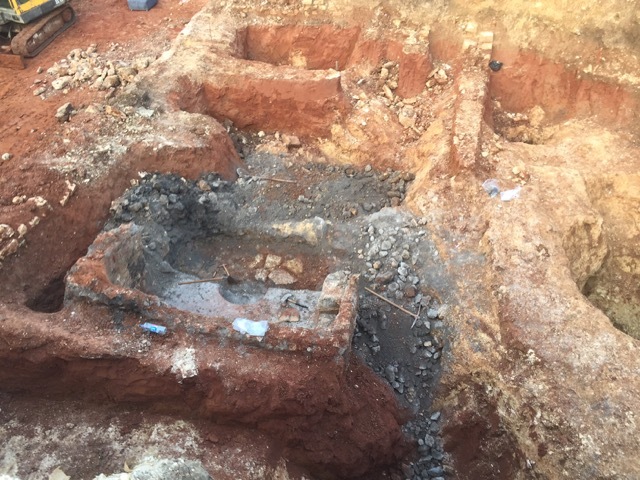 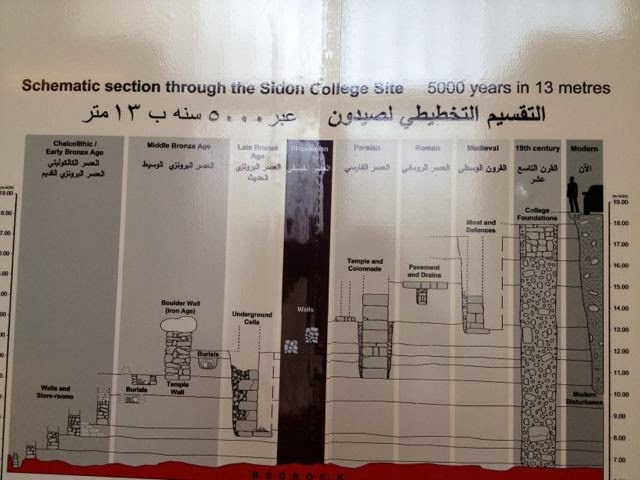 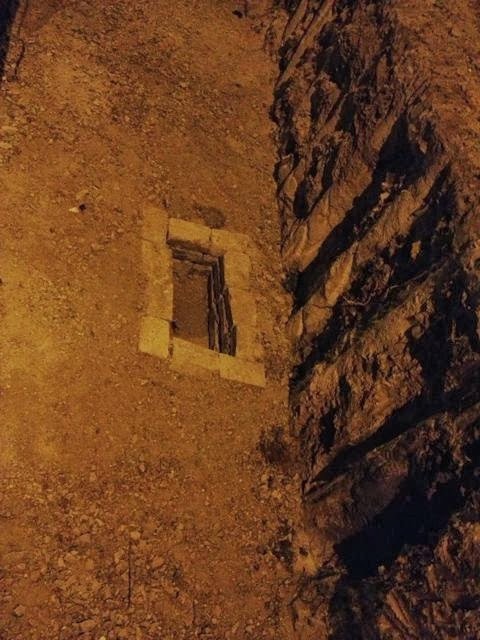 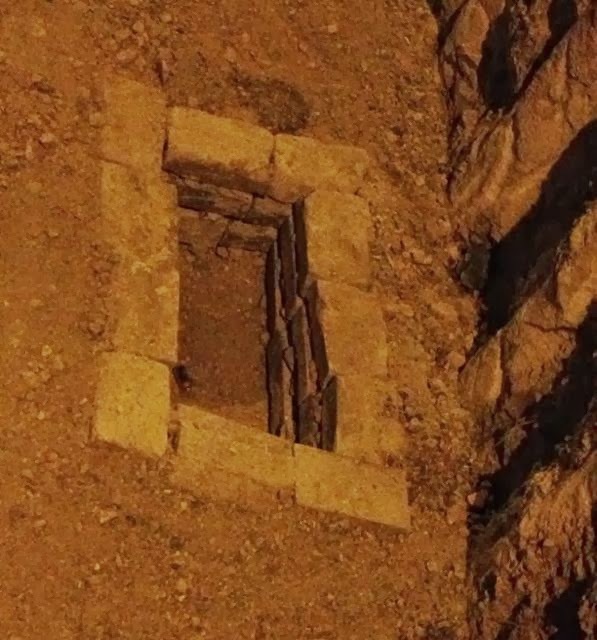 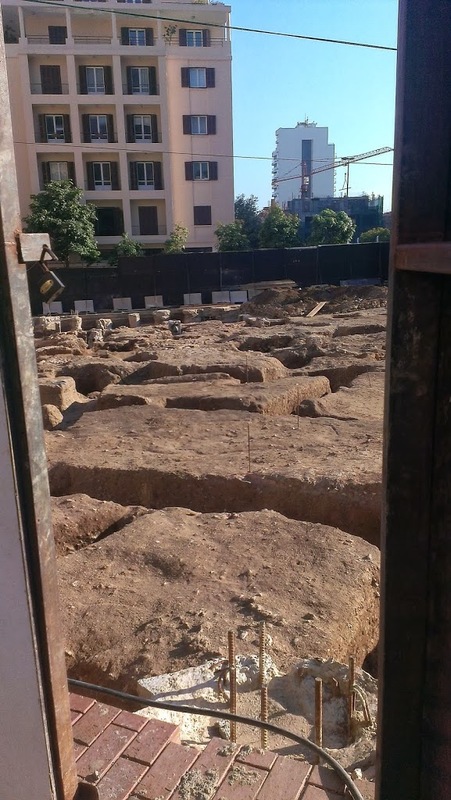 Soon after posting about the ruins discovered at the Saifi Plaza excavation, an activist got in touch over a Facebook thread and shared a series of photos of the dig in the months before it was cleared. 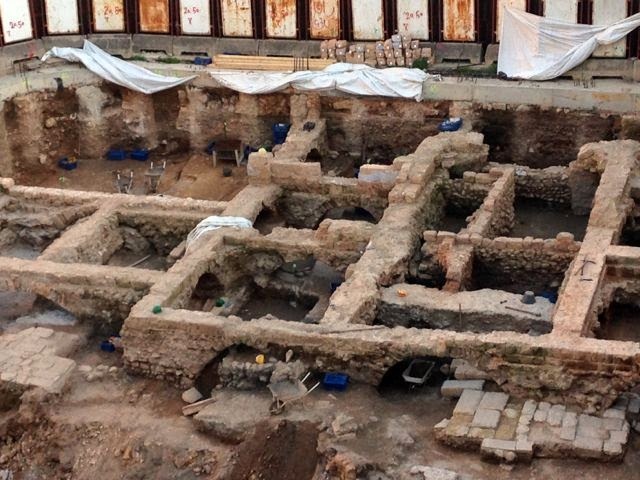 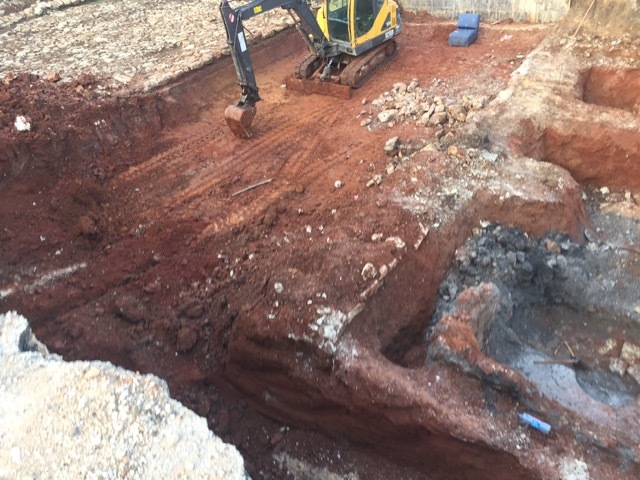 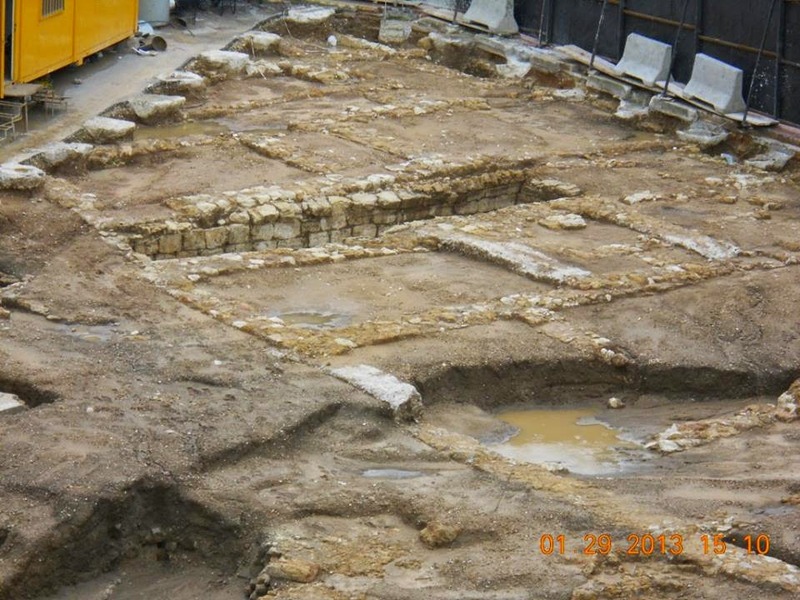 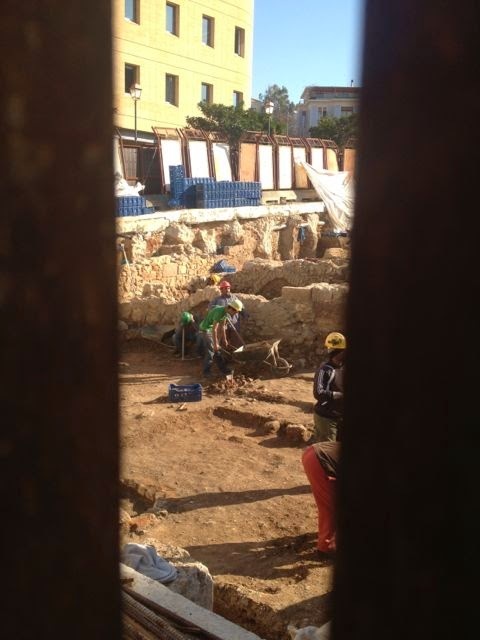 And the second two when the digging reached deeper, into the Roman period, possibly thermal baths. 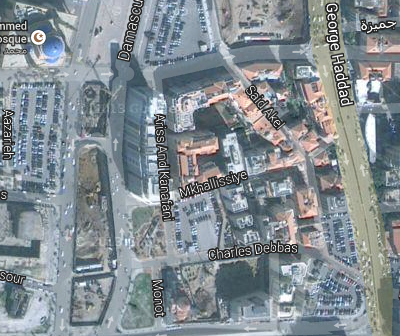 Noticed what appears to be a canal system. 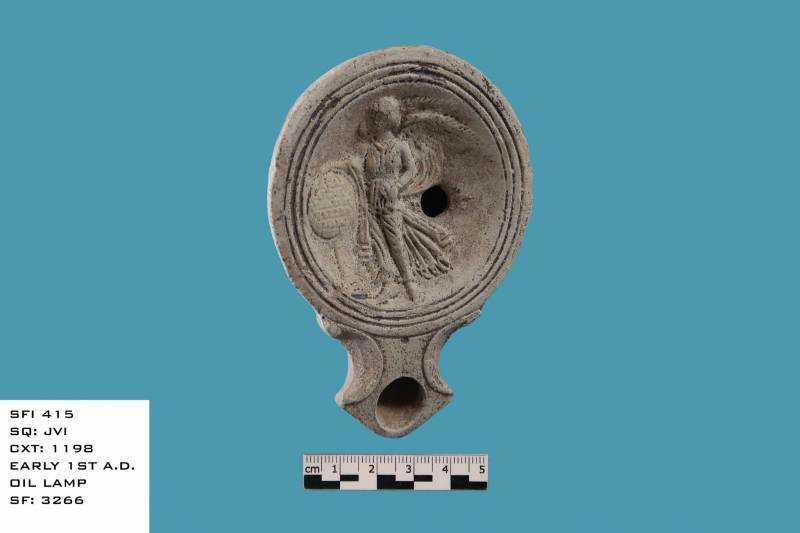 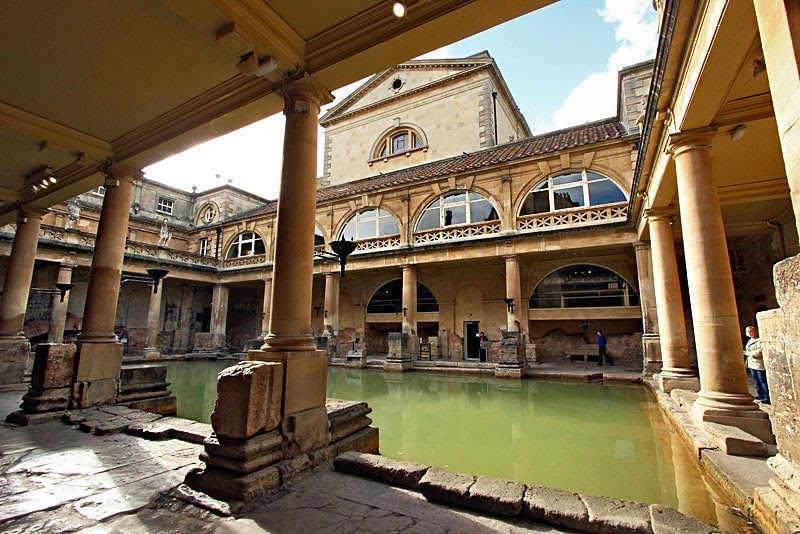 I wonder if baths in ancient Berytus looked anything those in England? 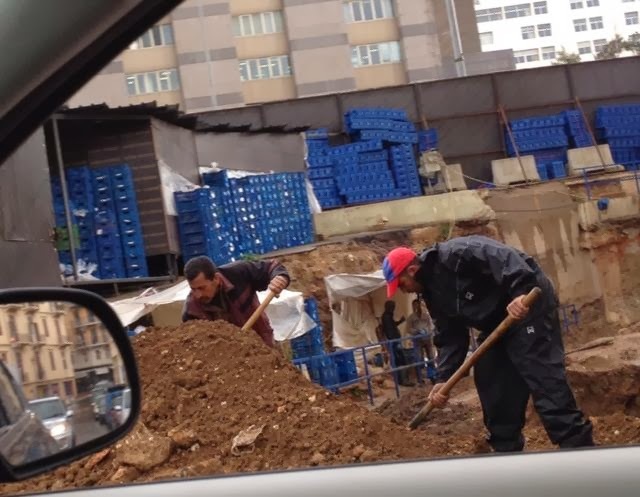 Or maybe nothing like them? 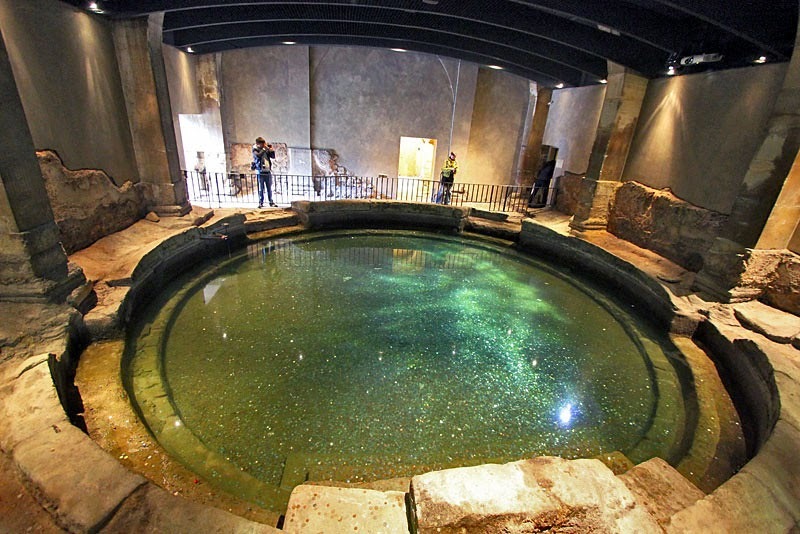 Or maybe what was found at Saifi were not necessarily baths, though there are many discovered nearby and around the city. If anyone has any more info please share! 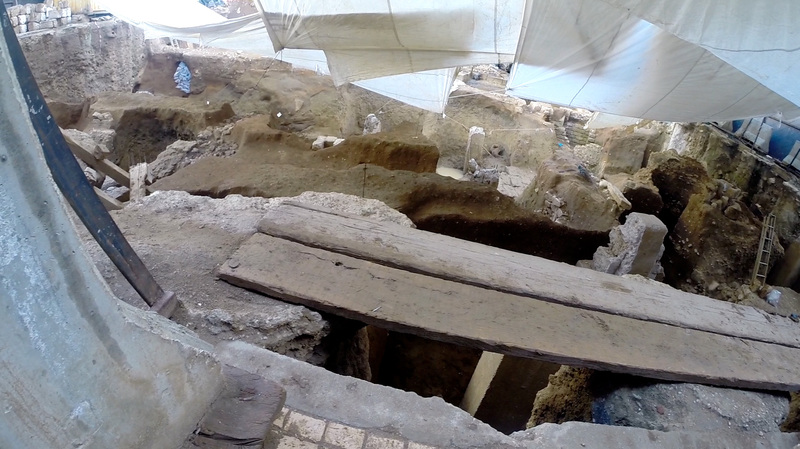 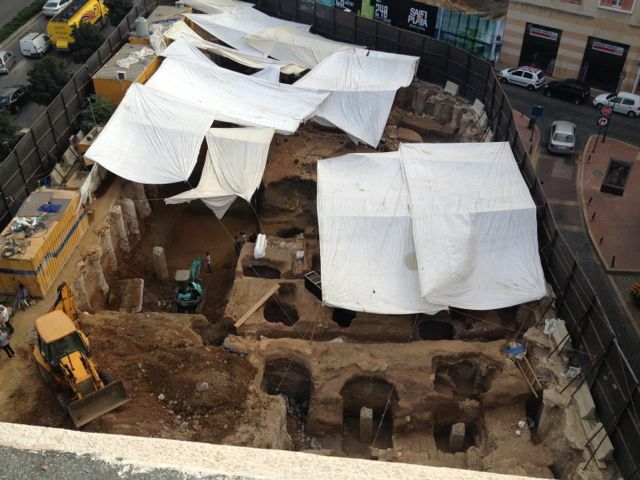 I have written about this excavation last March. 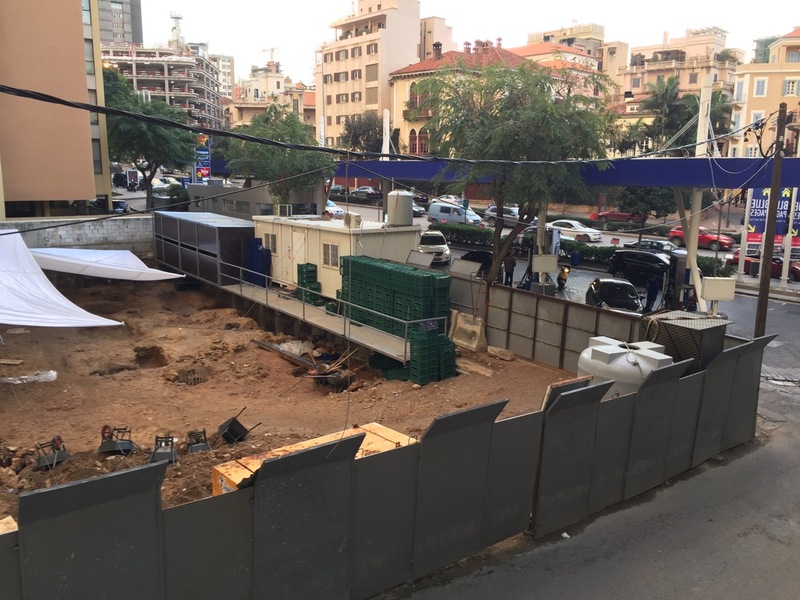 But it seems a lot more tents have been installed since then and more blue crates are now visible. 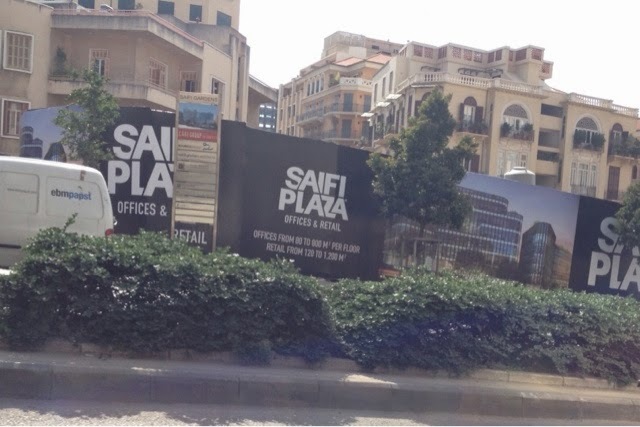 At the time, the project being built at the site was called Saifi Gardens, a luxurious glass and steel residential complex, as seen in this previous post. 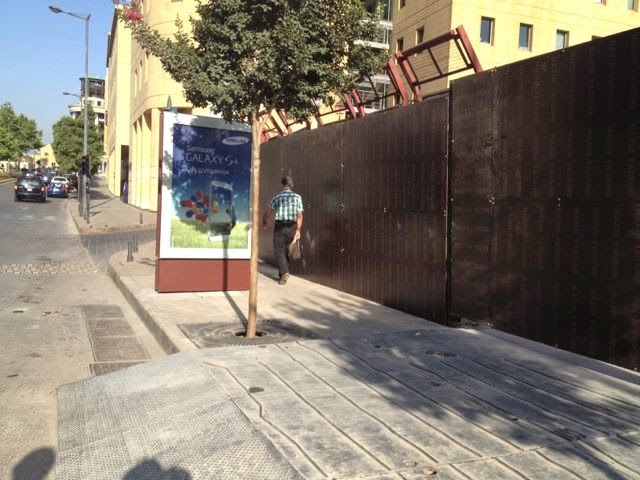 Of course as an average citizen– pedestrian or driver– all we can see on most days are these walls. 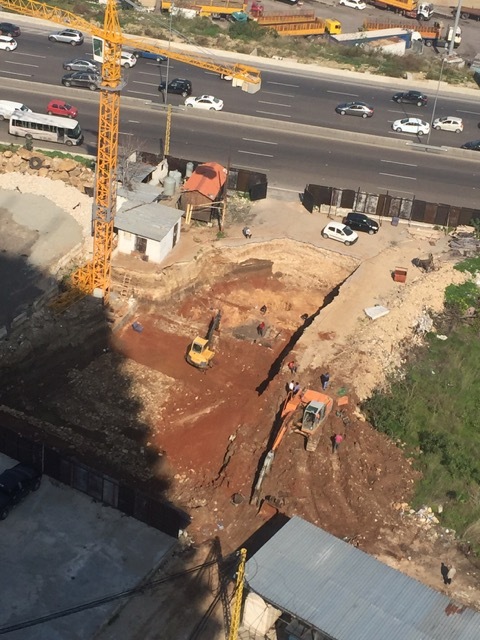 So has the project been changed in any way? 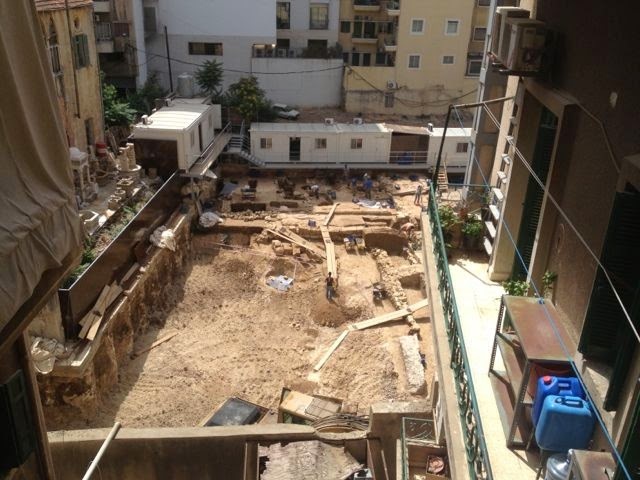 Will this effect the time given to the archeologists before the site is cleared to make way for the new buildings? 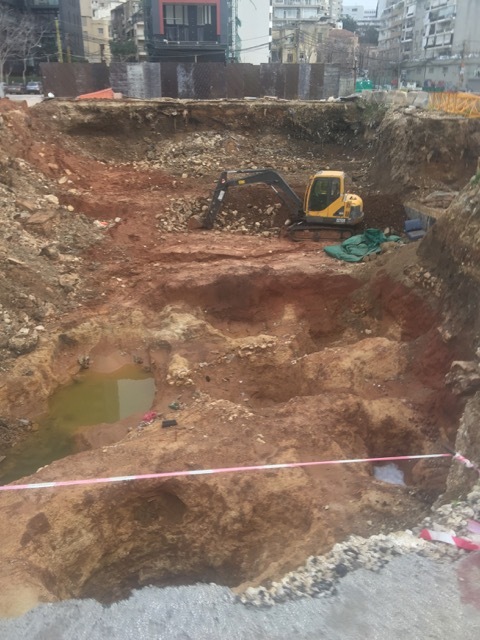 Is there any chance the find will be so valuable that the project will be cancelled or put on hold? 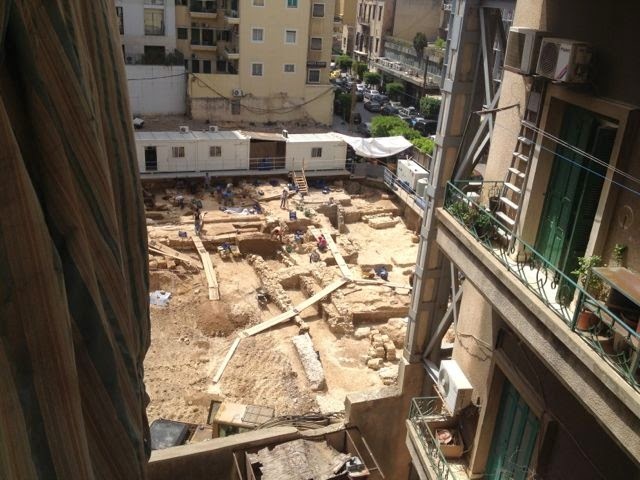 It would be great if anyone living in the nearby buildings could send us some more shots of the dig, since the government’s department of antiquities aggressively bans anyone from taking photos close to the site as I have often found out the hard way. 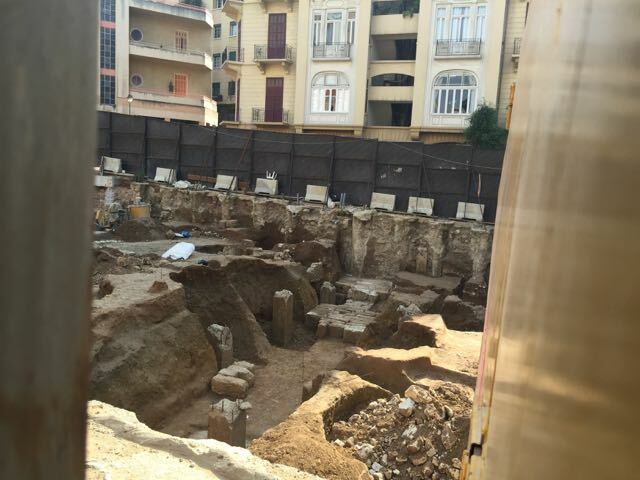 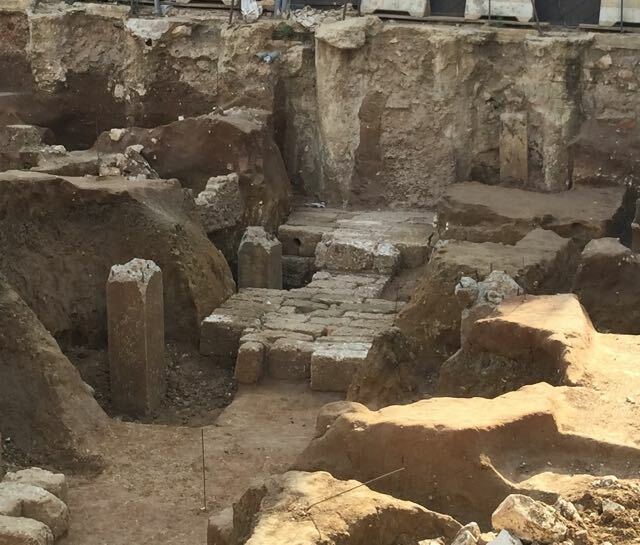 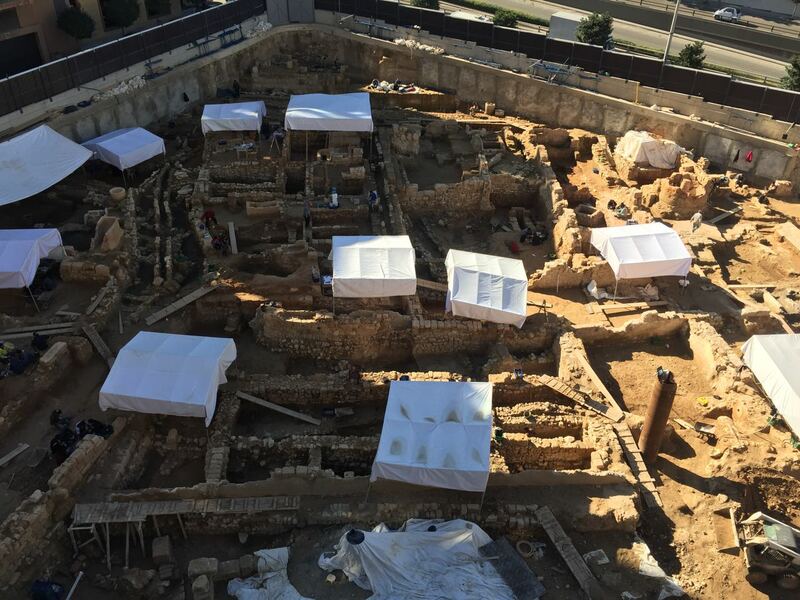 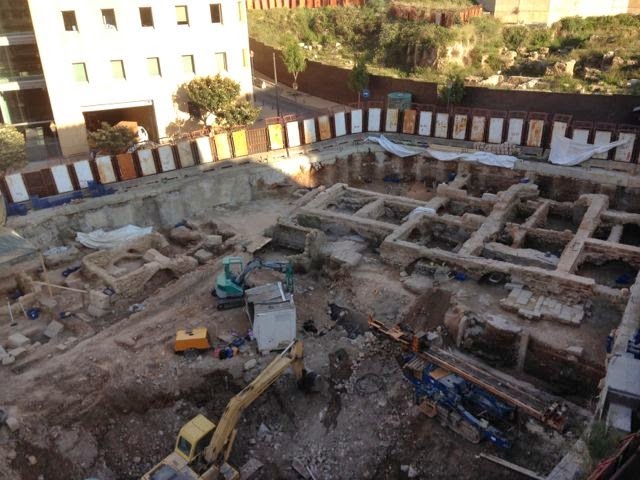 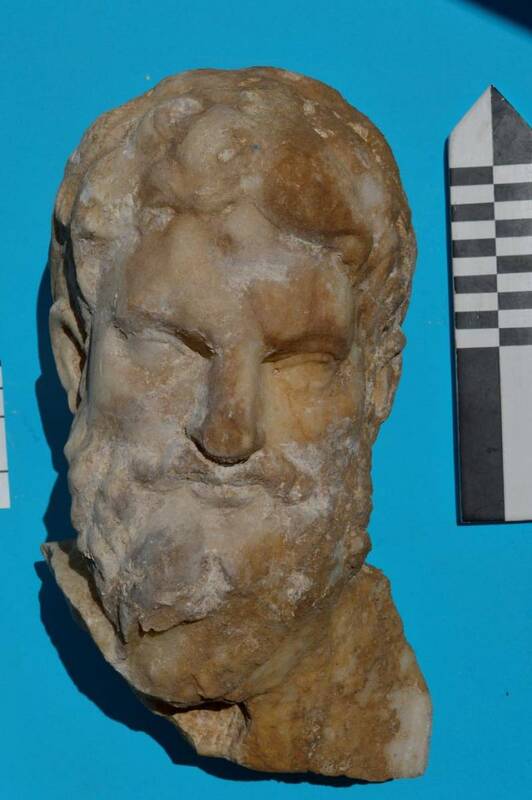 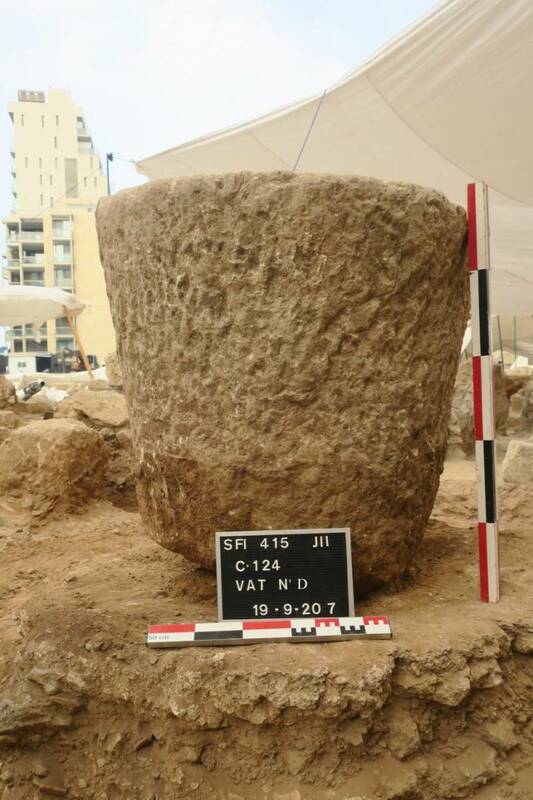 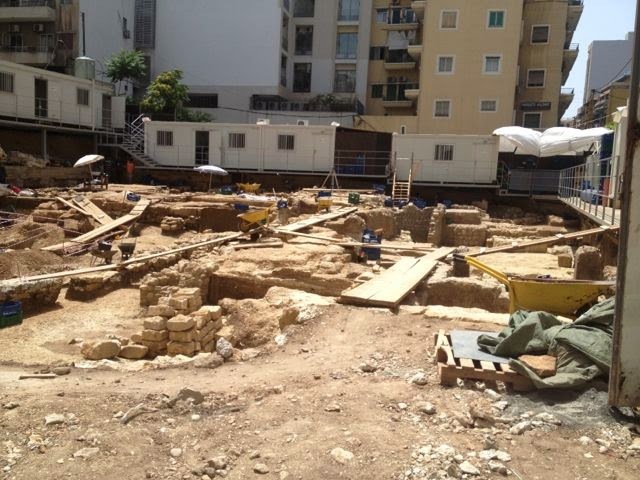 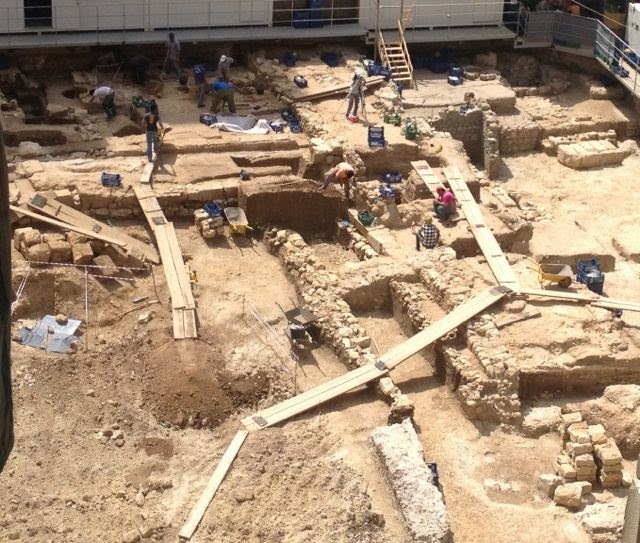 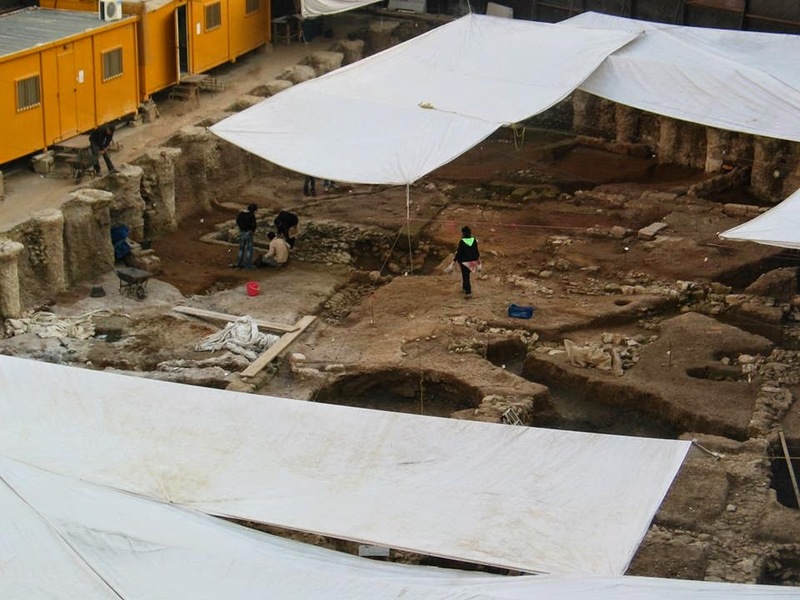 For more on the state of archeology in Lebanon–and the tensions between developers, archeologists and bureaucrats, see a piece I wrote for the BBC about the removal and dismantling of ruins belonging to Beirut’s Roman Hippodrome last summer. 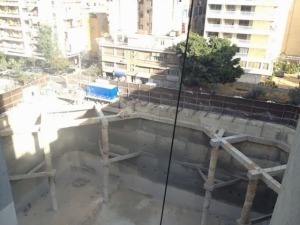 In the second part of the piece, I outline some of the larger questions about transparency, accountability and governance in the sector, which remains one of the most secretive in Lebanon. 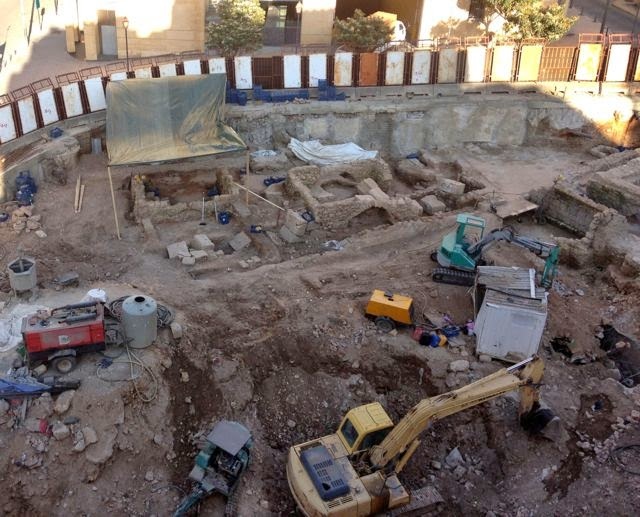 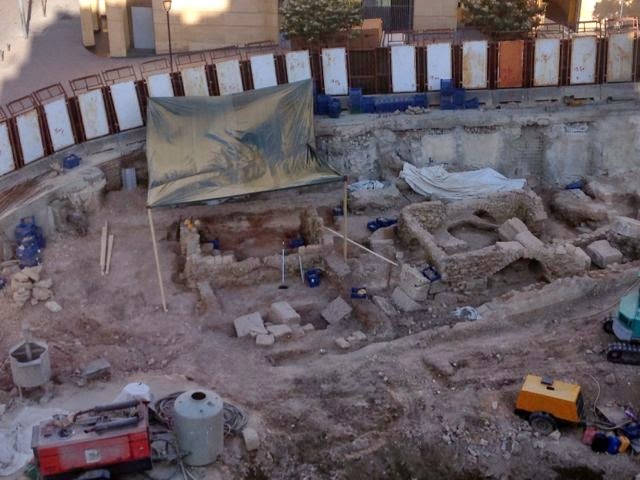 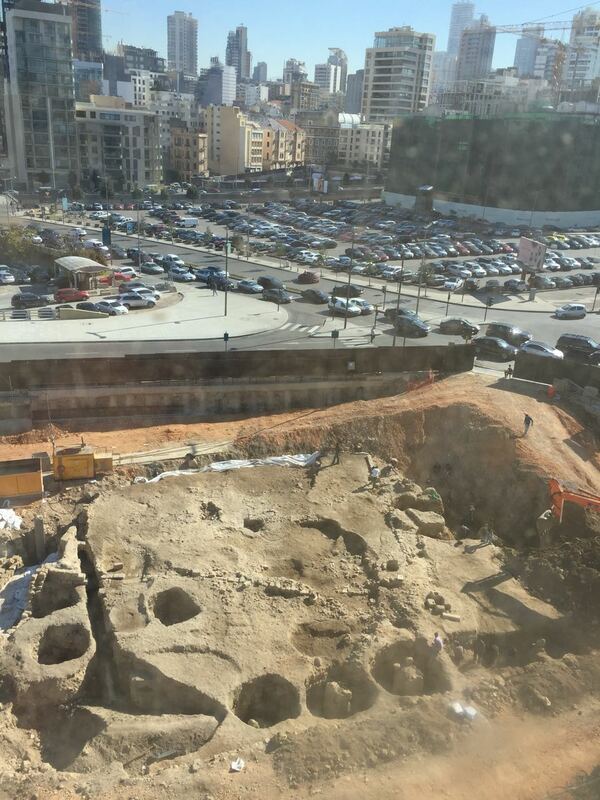 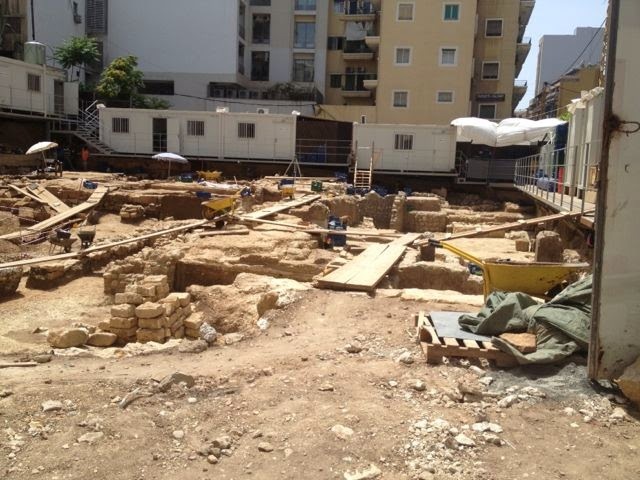 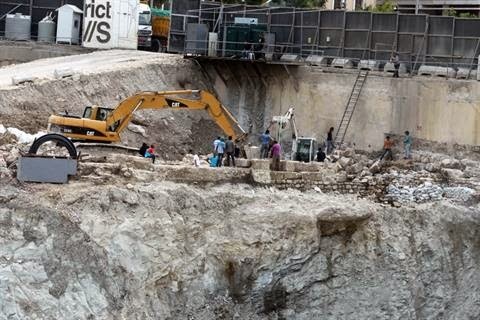 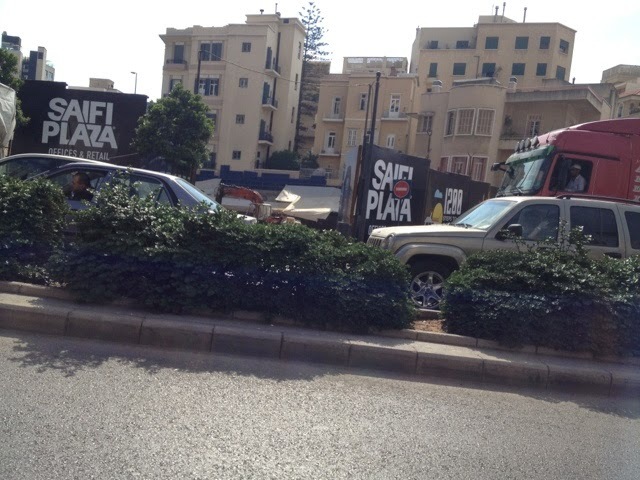 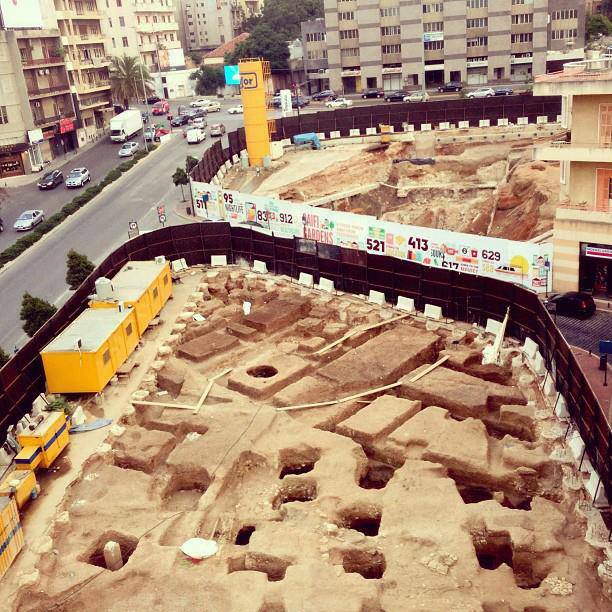 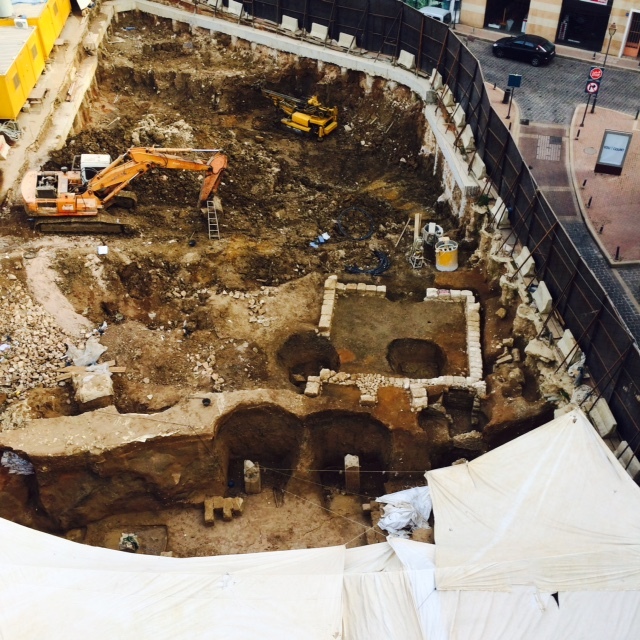 What’s being dug up at Saifi Gardens? 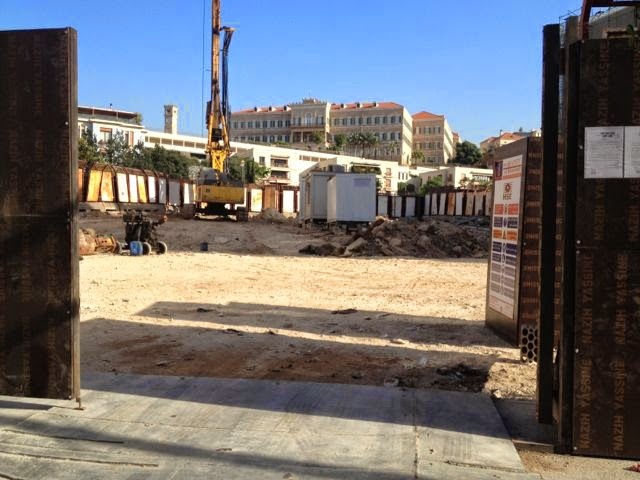 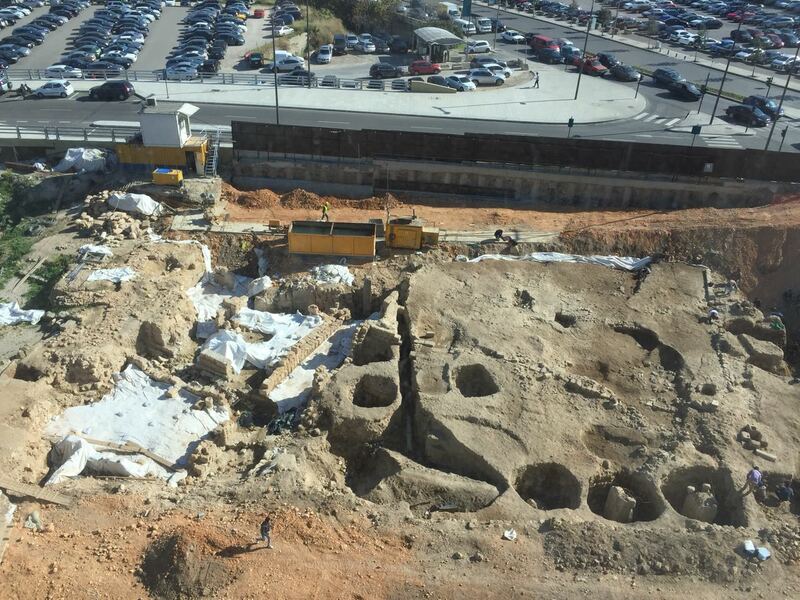 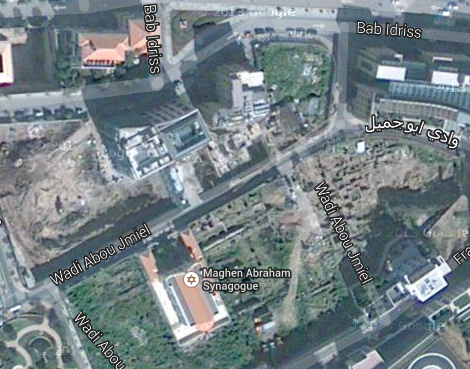 There appears to be a lot of interesting ruins being dug up at the new Safi Gardens development. 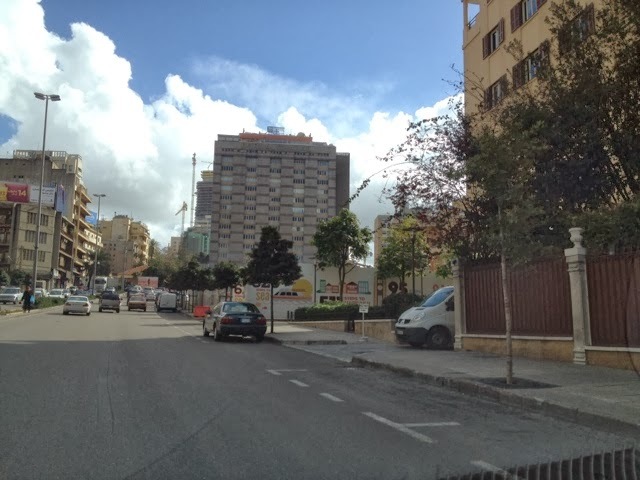 The residential project occupies two plots at the edge of the Solidere area, at the intersection of George Haddad Street and the General Chehab (ring) highway, just across the street from Bourj Al Ghazal tower. 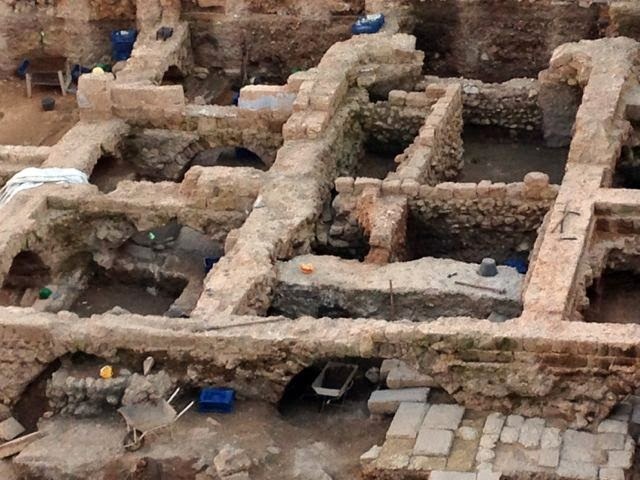 Much of the grounds above seem to have been excavated. 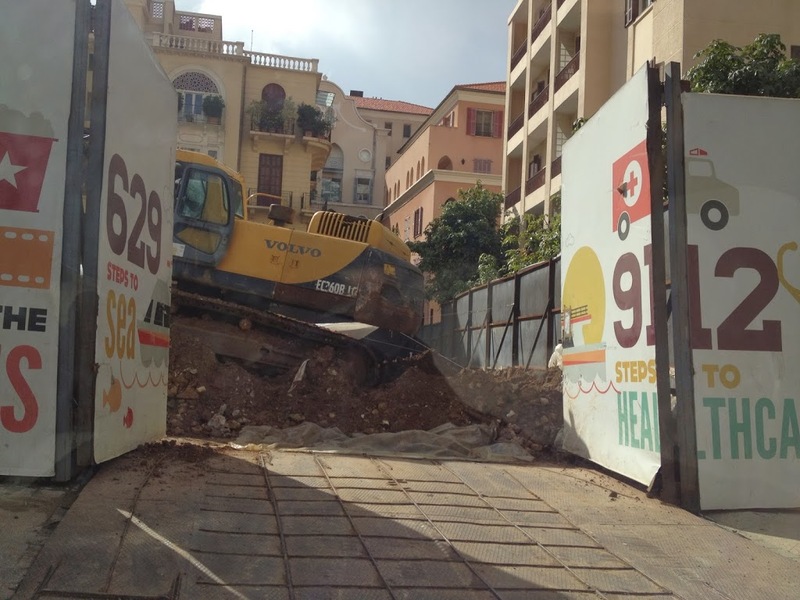 But where is this bulldozer parked? 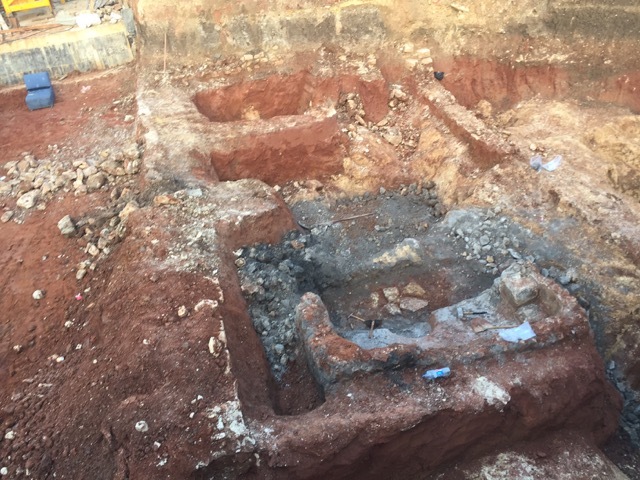 If anyone has any info on what has been discovered at this site, please share. 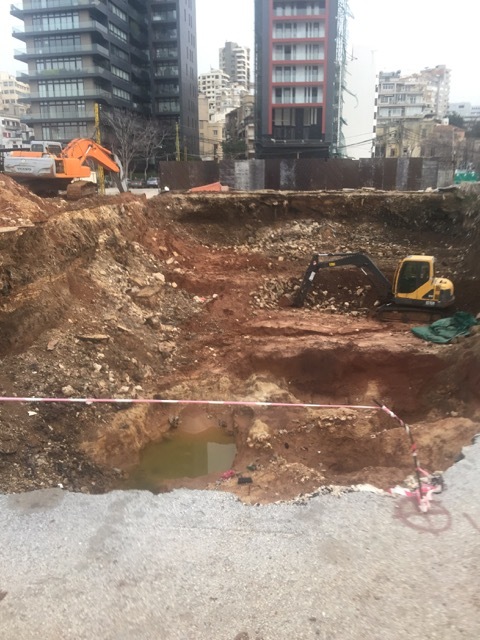 Unfortunately, and as I have found after being violently assaulted at a nearby dig, the ministry of culture is not very forthcoming when it comes to these excavations. 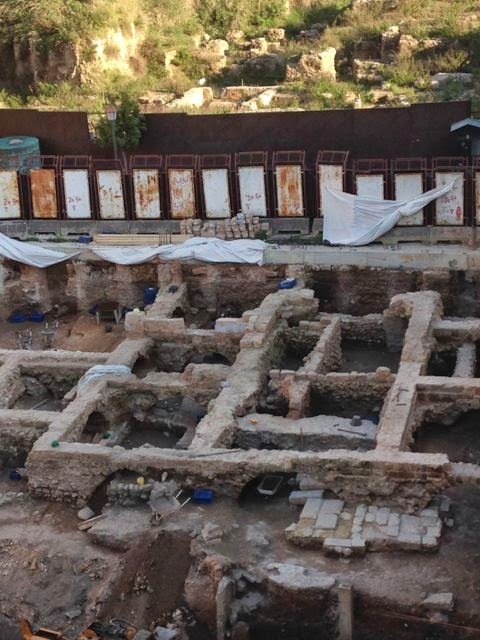 For more background on why that is, see my extensive piece in the BBC last year. 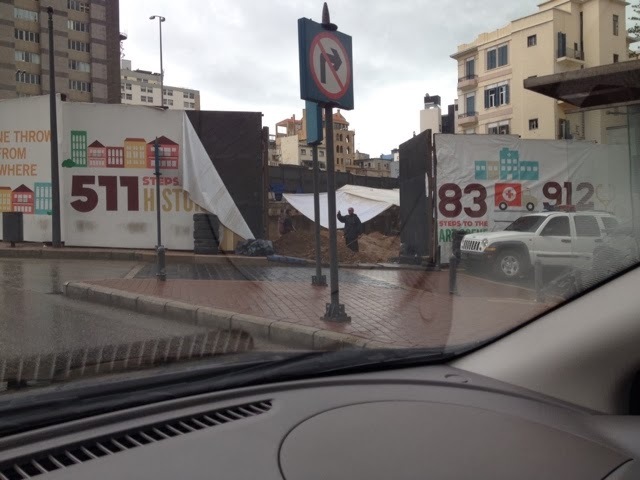 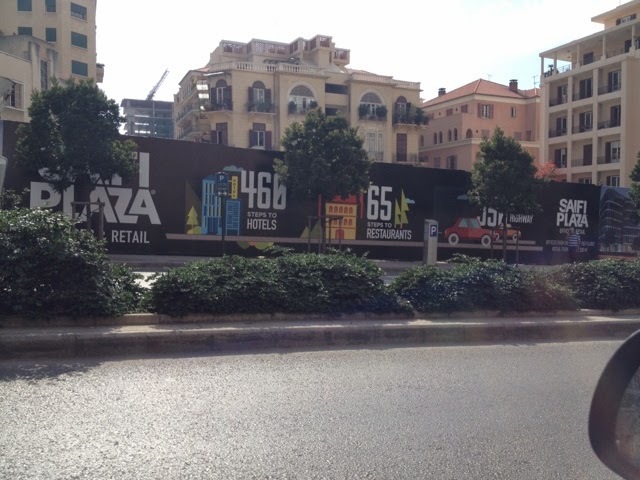 A friend recently sent me a picture of a major construction site going up in Hamra. Could it have been a previous structure or wall? 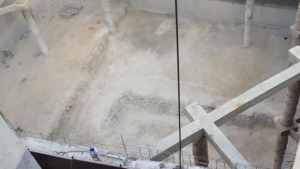 Or is this just part of the building’s foundation? 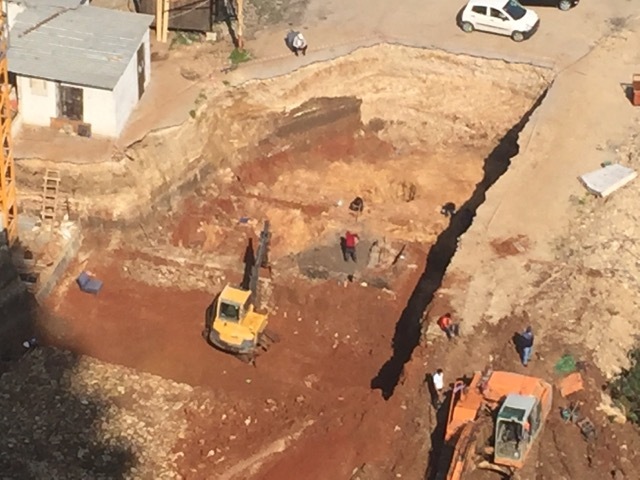 Perhaps some foundation experts out there can weigh in. 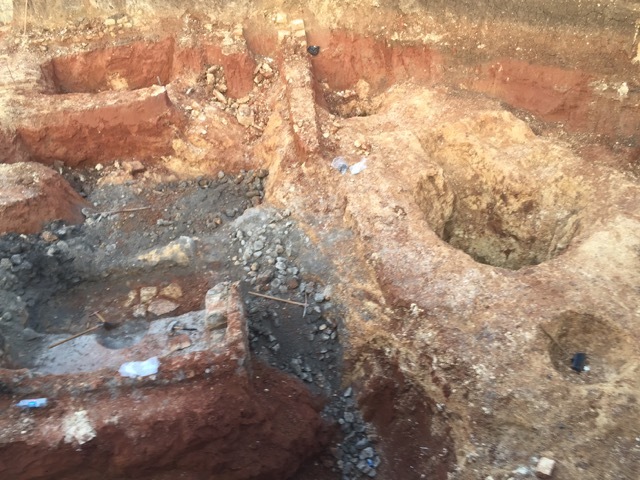 It could be old or relatively new, but it’s also interesting to see the multiple layers of pavement and how the surface level may have grown over the years.